Sunglasses Etnia model Africa 04 has a unisex panthos frame with a metal bridge and a metal top bar on the frame front, with a touch of colour on the temple tips. Etnia sunglasses collection was originally inspired by Africa and its textures, particularly those referred to in the fashion world as "animal prints". The textures reproduce the colours of wood, zebra and giraffe hides, and horn. 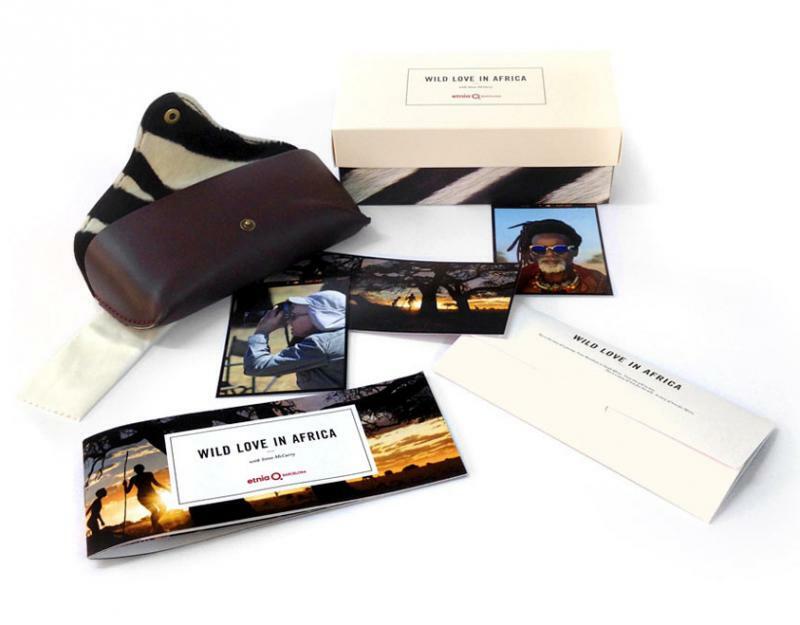 The WILD LOVE IN AFRICA collection is equipped with a selection of the finest mineral lenses in the world. To create the image of the campaign, we collaborated with Steve McCurry, a world-famous American photo-journalist.